Contract fell through because of buyer financing. Ready for a new buyer! 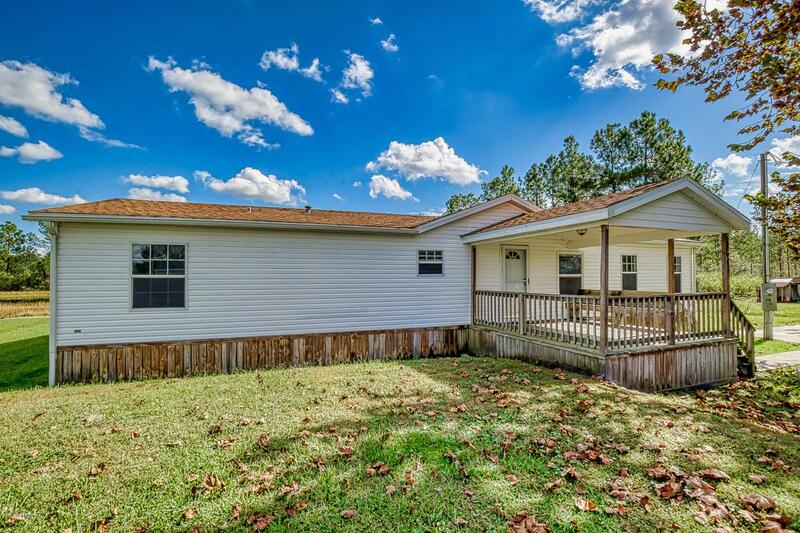 You'll fall in love with this property and all it has to offer! A great home at a great price, just needs some love and attention. A well-stocked pond gives the backyard a sense of serenity and invites wildlife. The almost 2 acre property backs up to a large lake, perfect for the fisherman or outdoor enthusiast. Enjoy this peaceful view of the pond and lake from a massive wooden deck. The workshop is a handyman's dream and is set on concrete footings for extra stability. Another shed for yard equipment is also a great perk of the property.At the front of the house is a welcoming covered deck and mature sycamore tree. 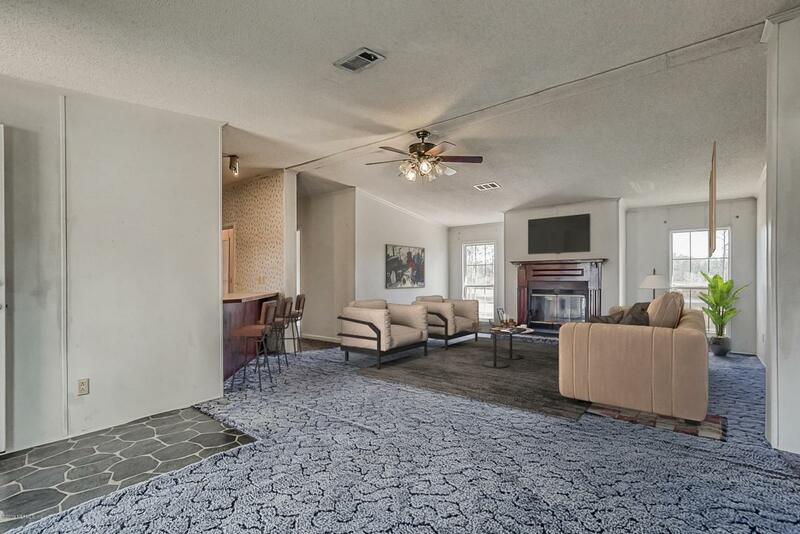 Inside, there is a generous sized living room with wood-burning fireplace and dining area.The kitchen is an awesome size for entertaining and has cherry finish cabinets, a breakfast bar and walk-in pantry. The split floor plan is great for a family. 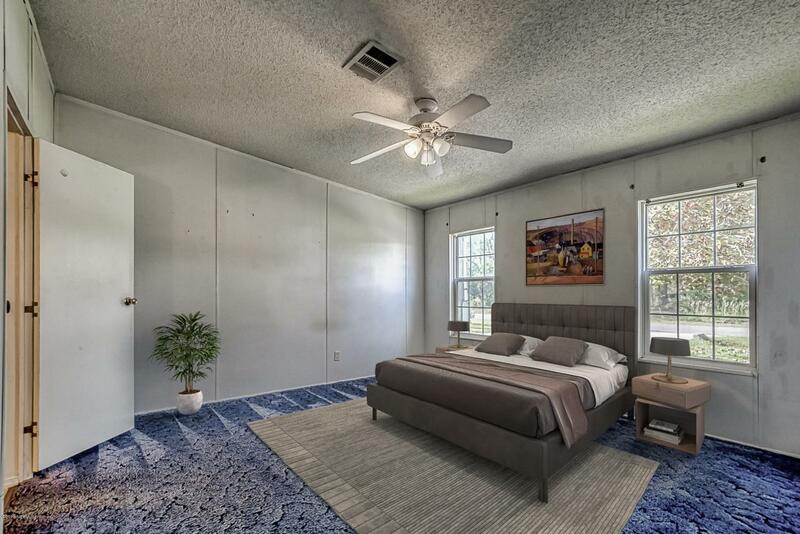 The master bedroom is a generous size, with an extra-spacious master bathroom with garden tub and separate walk in shower, plus the enormous walk-in closet. 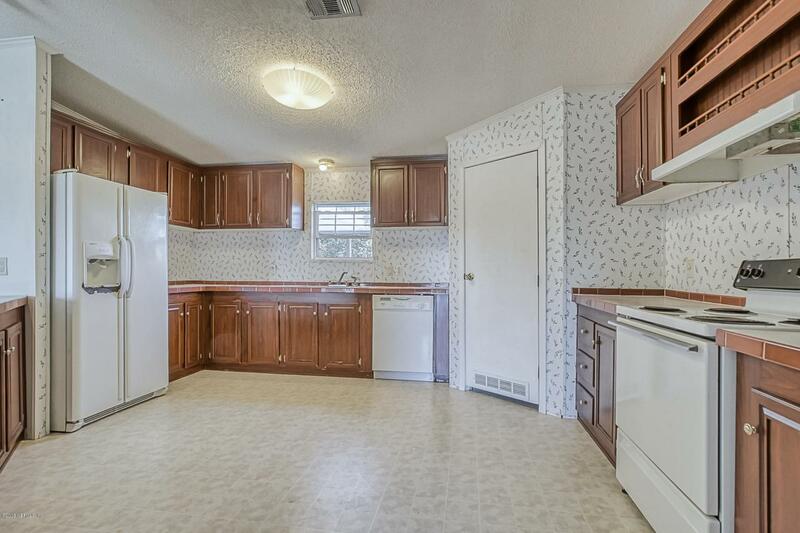 Three more bedrooms, a bathroom and spacious walk-through laundry room complete the home. The roof, water treatment system, and air handler were all replaced in 2009. Septic was last pumped in 2009. $4,000 worth of work has been completed to improve the drainage around the home. New range hood installed and plumbing leaks were corrected with previous contract.